Tooth loss is an undesirable condition for oral health and overall health of a person. When a tooth is lost, the ability to bite and chew food is compromised to some extent. This reduces confidence and can create an imbalance in nutritional intake, especially when many teeth are missing. Dental restorations are designed to fill the gap created by missing teeth and support biting and chewing functions. Dental implants are artificial teeth roots that are made of titanium or Zirconium. The restoration becomes an integral part of the supporting bone. Therefore the dental crown or any other restoration that is supported by the implant is highly stable. A dental implant is surgically placed in the supporting bone. Implant specialist Dr. Keerthi Senthil has been performing dental implant surgery for several years now. Through her dental care, she has transformed the smiles of many patients. At Implants Guru, our aim is to restore healthy smiles in those patients who are suffering from tooth loss. Our Rancho Mirage office welcomes patients from Coachella Valley, Cathedral City, Palm Desert, Palm Spring and surrounding communities. Make an appointment and meet our team today. Our team will inform you about the many ways in which your smile can be enhanced. Proper maintenance of oral hygiene and periodic visits can let people keep their natural teeth forever. Failure to do so can lead to dental infection. Tooth decay and gum diseases are some of the primary causes to tooth loss. Such conditions should be identified and treated at the earliest. If not, the infection can spread and lead to loss of other teeth. When a tooth is lost, an imbalance is created in the dentition. As a result, there may be higher load on remaining teeth and more effort may be required to bite or chew food. There can be teeth wear and orthodontic problems. A dental restoration is recommended in order to support the biting and chewing functions and avoid the above mentioned dental problems. 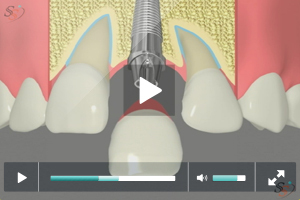 How is a tooth restored using dental implants? Dental restoration process starts with an examination of oral cavity. The gums are checked for infection. 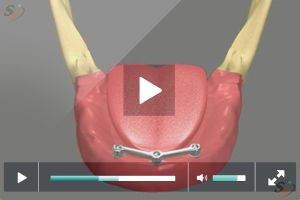 We check if there is sufficient bone volume to hold the implant. 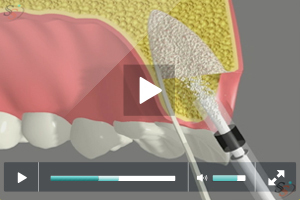 Bone grafting procedure may be recommended when there is insufficient bone to hold the implant. X-rays may be taken to check the length and width of bone. Treatment plan is set and explained to patient. The restoration procedure may take about 6 months to complete. 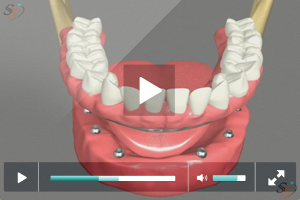 The first phase of treatment is surgically placing the dental implant in the supporting bone. Oral sedatives may be recommended for this purpose. The surgical sight is numbed with the help of local anesthesia. An incision is made in the gums and a series of drills are used to create a bony recession. The implant is torqued in planned position and the gums are sutured back after the procedure. The implant is left to heal for few months. During this period the implant bonds with the bone tissues. 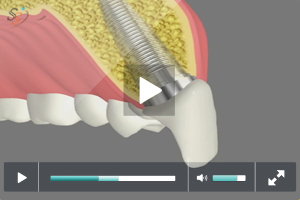 Our implant dentist checks for completion of Osseointegration periodically. 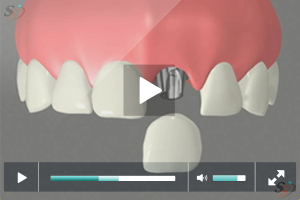 Once the implant has bonded with supporting bone, we plan for fabrication of dental crown. Impressions of teeth are taken and a crown is fabricated in the lab. The implant head is removed and an abutment is fixed over the implant. 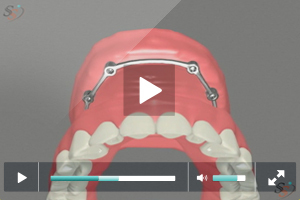 A temporary crown may be fixed over the abutment until the permanent one is ready to use. Once the permanent crown is delivered to our office, we check the fit of the crown and it is bonded or screwed over the implant.